A pump action shotgun with a 10" barrel? I have to wonder how punishing this is to shoot. 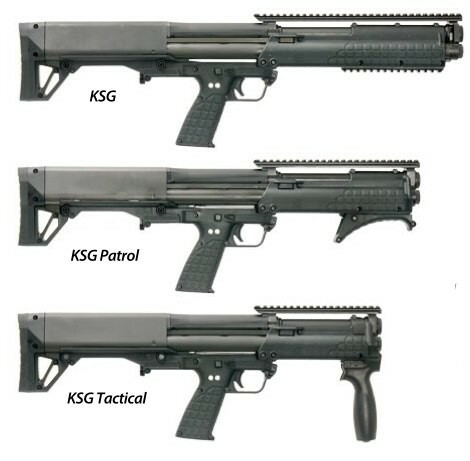 "Not everyone feels the need for fifteen shot capacity of the KSG bullpup shotgun. Some people however want shorter length for the tight confines of police cruisers and other vehicles. Enter the super-shorties from Keltec." The KSC shorty holds 10-shots and features a 10-inch barrel. "These are available with a $200 tax stamp."